However, due to the seasonality and delicate nature of Val Stefani bridal gowns, not every gown pictured is available in-store. For the most up to date inventory, please contact one of our professional bridal stylists. Henri's is proud to offer its brides the Val Stefani collection of wedding gowns, in stock and available now! 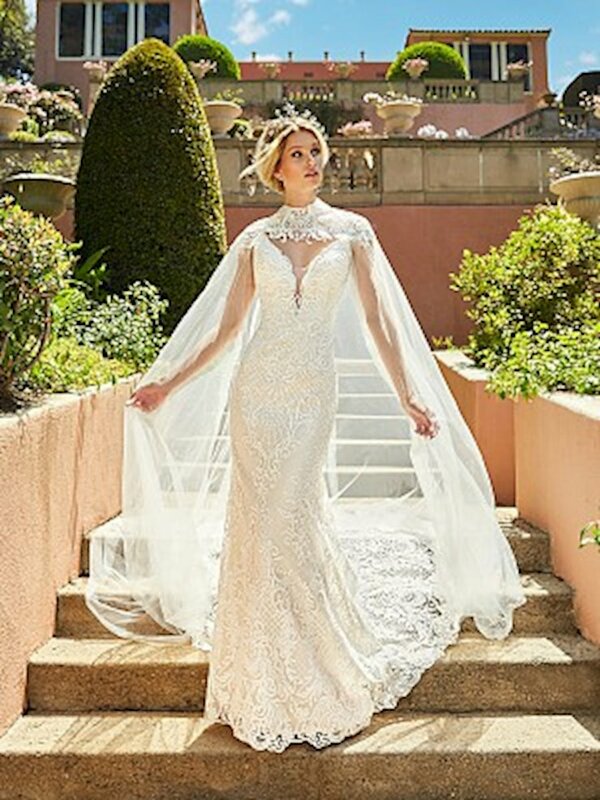 Based out of Southern California, this lovely line of wedding wear boasts an incredible fit, the highest quality fabrics, and hand sewn Swarovski crystal details. A fierce feminine aesthetic is the inspiration behind every Val Stefani wedding gown with styles accented by delicate beading, hand rolled rosettes, cascading ruffles, and lace.